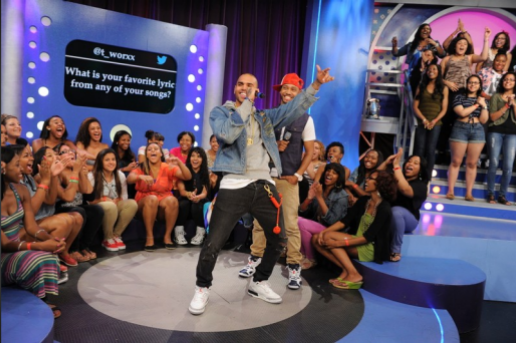 Atlanta Blogger: Chris Brown and Ne-Yo were both guests on today’s episode of 106 & Park. Chris Brown talks about about winning a Grammy, his toy line, his new music video for ‘Dont Wake Me Up’, his album “Fortune” and more. Ne-Yo talks about his new video for ‘Lazy Love’, favorite songs to perform, who he is working with and more.